The Wall Mount Pull Up Bar and Bodyweight Resistance Trainer package is a highly effective home gym that gets incredible results fast. 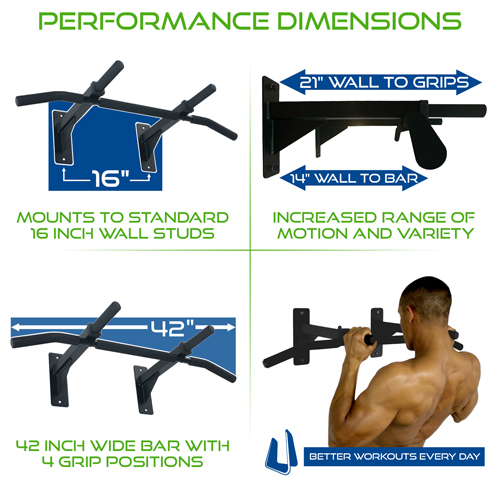 The Wall Mount Pull Up Bar is engineered with mounting plates and holes positioned exactly at 16 inch on center and bolts easily to standard residential stud framed walls. The mounted bar is ultra stable, stands an industry leading 14 inches off the wall, and is the ideal anchor for suspension trainers. 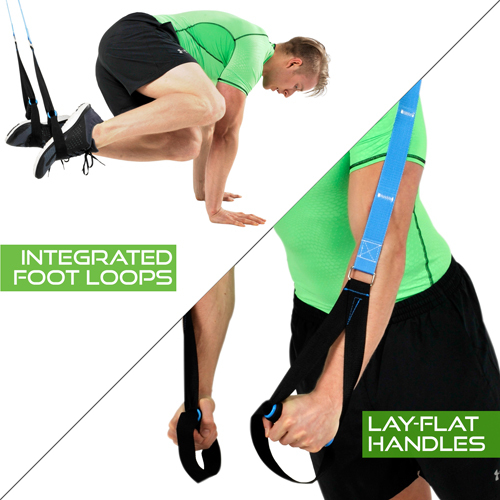 Ultimate Body Press Bodyweight Resistance Trainers are premium quality suspension trainers with indexed straps for quick even adjustments, no-rub hardware and our exclusive Lay-Flat Handles that keep your focus on form and repetition. 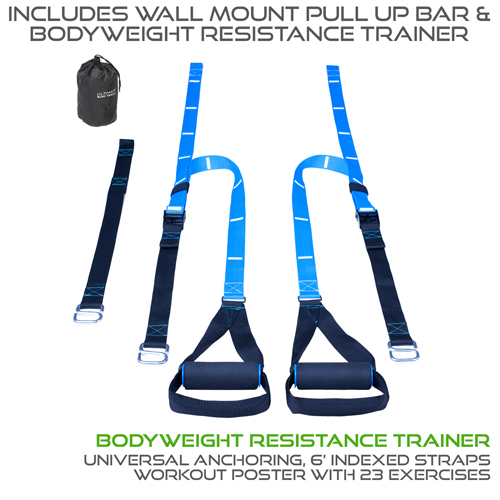 Bodyweight Resistance Trainers include two complete straps, universal anchoring system, tote bag and full color workout poster with 23 exercises and three sample workouts. 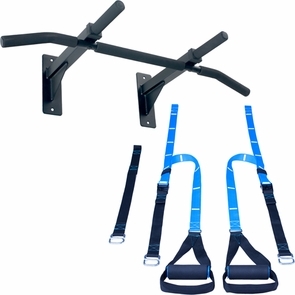 The Wall Mount Pull Up Bar and Bodyweight Suspension Trainer package gives you better workouts every day for the results you want in less time. Complete mounting hardware, assembly instructions and mounting guide are included. Your satisfaction is 100% guaranteed, order yours today.